At work, Peijing settles into Nicholas’ old role. 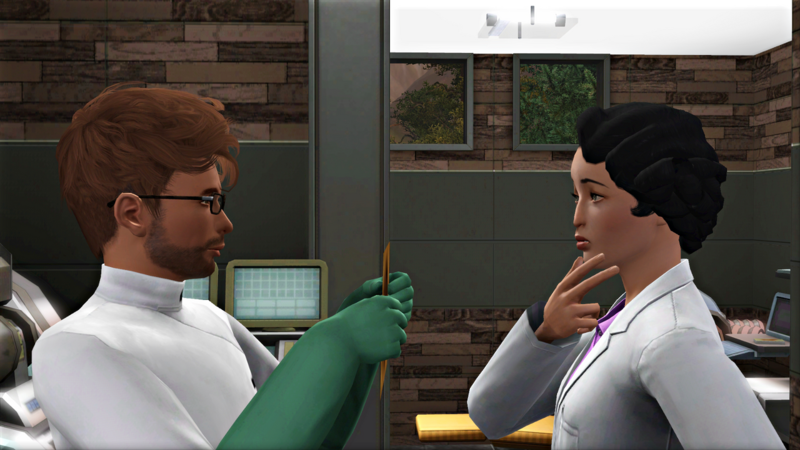 The lab agrees to extend Ben and Rachel’s family leave by a few more days. 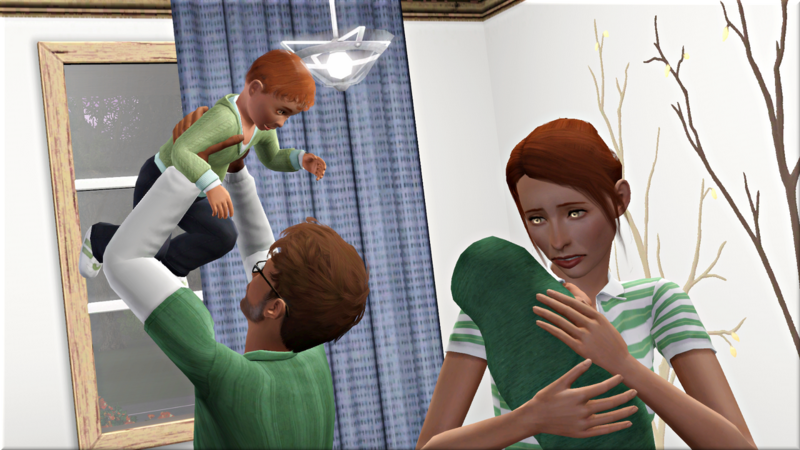 With two little ones in the house, time flies by. 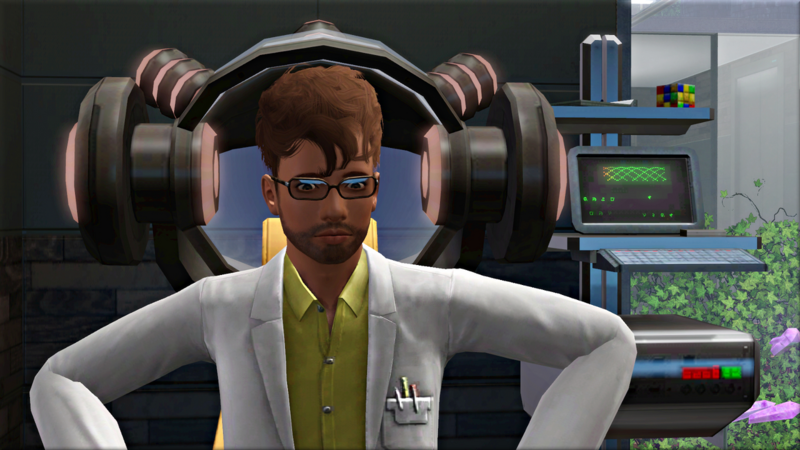 Ben’s hard work pays off when he is promoted to Useless Contraption Manipulator. Feeling confident, he decides to have another try with the Brain Enhancing Machine. He has a better experience with it this time. 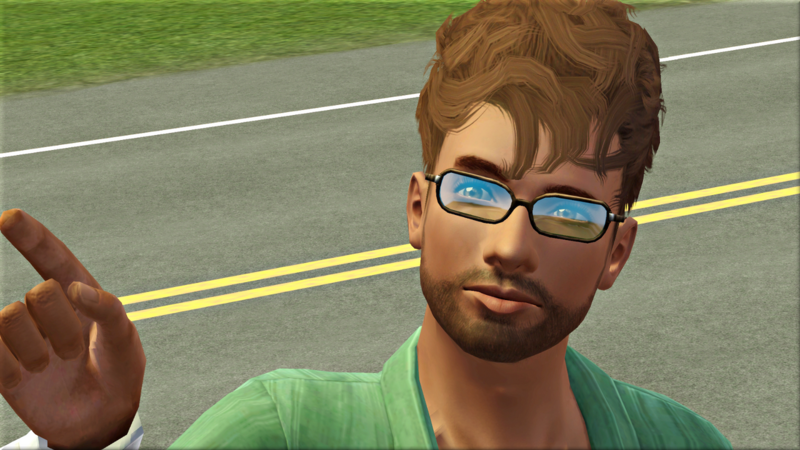 Benjamin Adelson is just out of high school, and excited to start his new job as a test subject at the Moonlight Falls Science Centre. With four sims, things were starting to feel cramped in my 35K build. Fortunately, by this point, I had the new place finished enough to move the family in. Here’s an aerial view. 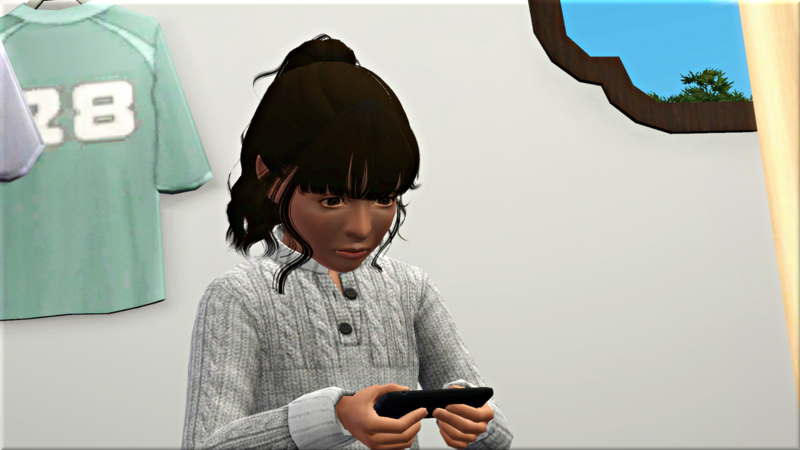 Jia won’t be able to level up her social networking skill until she’s a teenager, but she loves to stream video and browse the web on her phone. At last it was time for Carter to face off against Wu. She was level 9 but wearing the wrong colour belt.